Easy integration with e-vendors such as PayPal, E-junkie, FastSpring: deliver ebooks and keys to customers by email immediately after successful orders. Our ebook protection service Protect Ebook .net offers hassle-free solutions available for less than 1 USD per day! Thanks to certificates, you can make different registered versions (Lite, Premium, Commercial, Professional...). 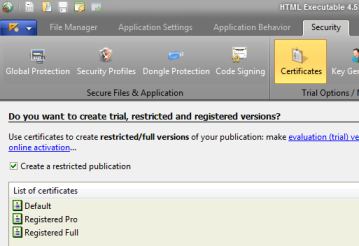 The Default certificate lets you create a trial version of your ebook. You can choose not to offer trial possibilities: then, in Default properties, tick "Do not allow access to the publication without prior registration". Registration keys, online activation, passwords... everything is possible with HTML Executable. 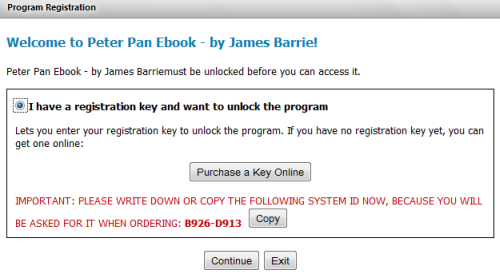 After a successful order, you send your customer an activation key to unlock the ebook. You can decide on how many computers this activation key will be usable. For instance, if you set 2 activations, only two computers will be able to open your ebook: your ebook cannot be shared with others. The activation process is easy and can be automated through the Internet, or Manual for end users who do not have a computer with an Internet connection. You can accept refunds from customers, block illegal users thanks to the Deactivation feature. You can control access to your publication at each run. → from your server. For advanced users, we provide the activation kit that allows you to install required files on your server and turn it into an activation server. → or from our Protect Ebook .net service. For users who do not want to deal with PHP, server maintenance and installation, databases, Protect Ebook .net is a great deal. When your customer runs your ebook for the first time, he will be given a code (his system ID), that he has to give you. Then, you can create his personal key. This key will only work on his computer. It won't work on any other machine, so it becomes useless if it is shared with others. You create registration keys that you give to your customers. Although these keys are personal, they can unlock your ebook on any computer, making the sharing of your ebook possible. Registration keys can be created online or in mass: we provide scripts in php, C#, Pascal, VB... to all users of the Professional/Commercial editions. You can then integrate these scripts into your own sales system. 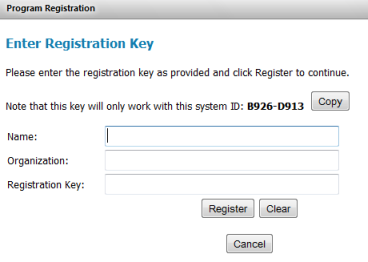 Registration keys may also be manually created with HTML Executable. You create passwords that you give to your customers. The password can unlock your ebook on any computer, making the sharing of your ebook possible. 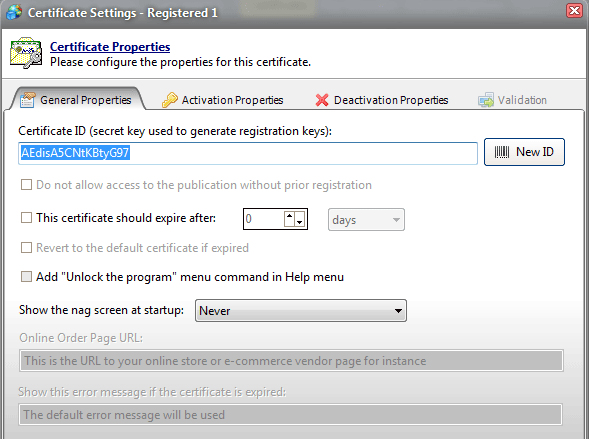 Use the key blacklist option for stolen or refunded registration keys. How can a user register? 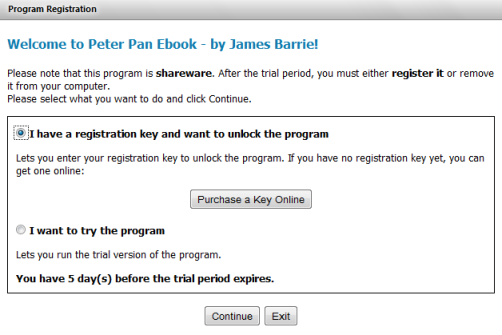 The first time the user opens your ebook, a window requiring the registration key will appear, depending on how you have configured the ebook. These windows can be customized at will.